Are Online Degrees Worth Pursuing? Can You Buy Tobacco Online? I need an outsider’s advice, especially from someone who knows about the marijuana industry in California. I’m a college senior preparing to graduate this coming May with a degree in business administration. I’ve spent the last two years focused entirely on investing and entrepreneurship. This being the last semester before I walk, I wanted to line up the right opportunities. I’ve applied to dozens of companies and have two offers on the table. Only one of them is all that appealing, but it’s better to have limited options than none at all. Anyway, I want to spend time exploring what it would take to start a medical marijuana business in California. I plan to move to Los Angeles or San Francisco soon after college anyway. 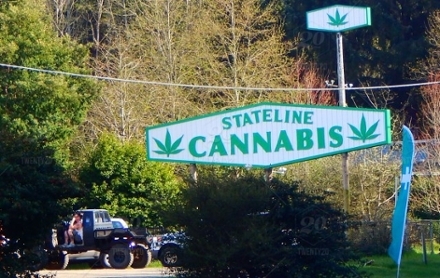 Now that it’s legal statewide, I figured it’d be the perfect chance to consider opening a dispensary. The question is what different medical conditions are treatable with marijuana? I want to understand who my customers are, which in this case means treatment patients. Becoming an entrepreneur is no light decision. As a business major, you probably already know that fact, but it doesn’t necessarily mean you’re privy to marketplace realities. Launching a medical marijuana dispensary likely sounds appealing, especially now that California enacted Proposition 64 (or the “Adult Use of Marijuana Act”), which also legalized recreational cannabis use and sale. There’s clearly a very compelling case to be contemplating the venture. When describing the state market, writers at Vox reported that, “California alone is home to more than 39 million people and is worth around $2.5 trillion--more than twice as populous and wealthy as all the legal pot states combined.” Those figures are staggering, but, to be fair, California has the sixth-largest economy in the world. That also means you can reasonably expect others to enter the fray. You can liken the massive influx of entrepreneurs and investors to the original Gold Rush. Be ready for significant competition. That being said, it’s possible that the medicinal market will become less competitive now that recreational marijuana is freely available. Analysts at Grand View Research estimate that the value of the global medicinal marijuana market will exceed $55 billion by 2025. In other words, there’s still tremendous promise exclusively in the medical realm. Much of marijuana’s potential stems from the different benefits that patients see across a wide variety of different conditions. From opioid addiction and social anxiety to chronic pain and epilepsy, cannabis consistently mitigates and/or alleviates some of the most common symptoms. It’s also important to remember that some of these products don’t even induce the psychotropic effects so often associated with weed. If this sounds new then you ought to explore the distinction between THC and CBD. The former chemical compound generates the euphoric “high” that recreational users to avidly pursue. The latter chemical compound causes no such psychoactive effect yet preserves all medical benefits (e.g., stimulated appetite, pain relief, anxiety reduction, etc.). You can’t seriously entertain the idea of opening a medical marijuana dispensary without first investigating CBD-based products. The last critical suggestion is to tap into the legal expertise available in California. You can’t feasibly open a dispensary without first applying for a medical marijuana dispensary license. The process isn’t rocket science, but it’s also not entirely straightforward. Don’t underestimate the insights you can glean from even a brief consultation with legal counsel. We're now a part of iHeartRadio! © 2019UTA Radio, a division of the University of Texas at Arlington Department of Communication. The contents of this Web site are the sole responsibility of UTA Radio and do not necessarily represent the opinions or policies of University of Texas at Arlington.